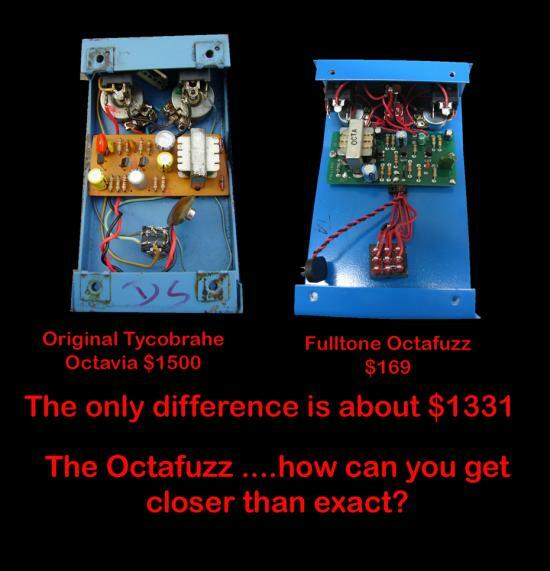 Octafuzz... the only exact circuit copy of the legendary Tycobrahe Octavia. 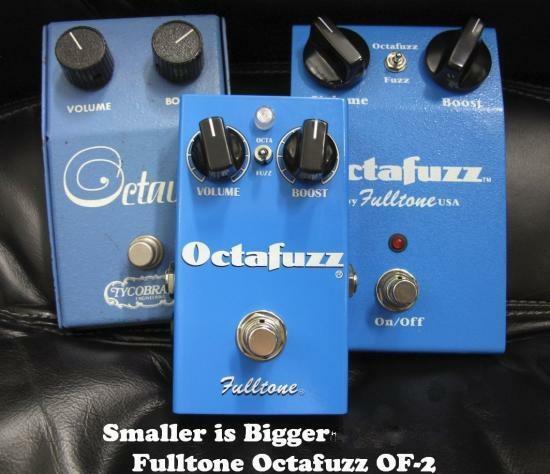 Cool Octave-Up sounds a la Hendrix "Band of Gypsies" and SRV's many live shows! Housed in a 14ga. steel enclosure with a beautiful ranar-blue gloss powdercoat finish and antique-white logo, this pedal is the reincarnation of the Tycobrahe. "Edgy, tweaked, and haunted by strange overtones, it's distortion occupies a galaxy far, far away from modern crunchola fuzz." Almost synth-like with its ring-modulation and "steel-drum" vibe... you will turn heads. 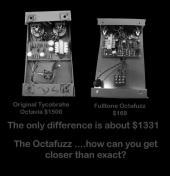 Around 2000 I developed a mod to the Octafuzz that made it into a massive non-Octavia Fuzztone with a flip of a switch. My mod was soon adopted by all other companies who make Tycobrahe reissues and clones.